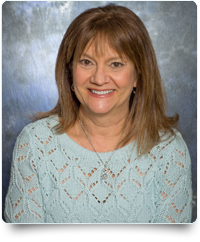 Linda has many years of dental experience and has been with Poiset and Associates since the start. 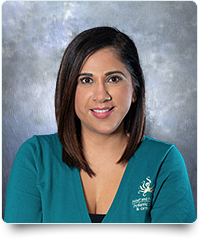 She makes sure that our office runs smoothly from day to day by managing our staff and being accessible to all our patients and parent needs. Without her, our doctors and team couldn’t create the beautiful smiles they do every day. Most of all, Linda appreciates the respectful, family-oriented environment our doctors have created. Outside the office, Linda loves spending time with her dog, Cash, and her three adult children. She likes to travel, cook and garden. Linda frequently volunteers with Special Olympics, Voices for Children, and her church ministry. Claudia keeps our office organized and running on time by scheduling appointments and entering patient information and insurance. 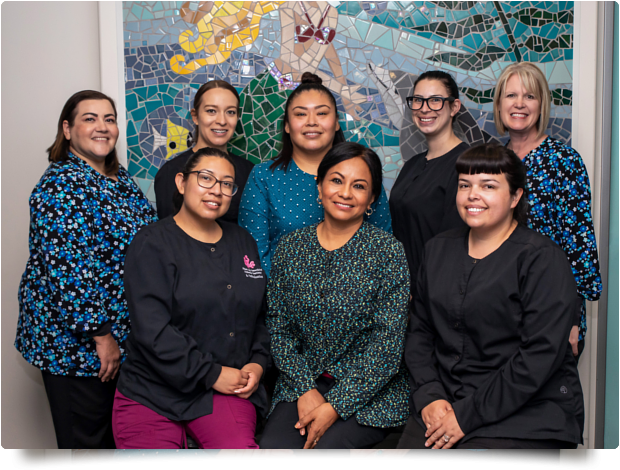 Ensuring that our patients and their families are comfortable in our office and receive the best treatment possible are just two of Claudia’s daily goals. In her free time, Claudia and her husband love to travel and visit new places to learn about different cultures. Elizabeth’s smiling face greets patients the moment they walk in the door. She works at the front pediatric office where she answers the phone and schedules appointments. Elizabeth knows firsthand the great care and positive experience that Dr. Poiset gives to patients: her children are his patients too! 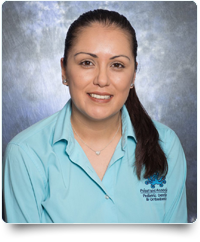 Elizabeth is fluent in Spanish, so she is able to assist our Spanish speaking patients with any questions regarding their care. When not in the office, Liz enjoys getting together with her extended family and going to the movies with her husband and two sons. 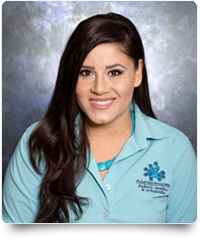 Liliana has been assisting our pediatric patients and their families for over ten years with her winning smile and caring personality. She loves working with children, so her job here at Poiset and Associates is a great fit! Liliana verifies and bills insurance, schedules appointments and presents treatment plans. Liliana spends her time outside the office with her three boys, and enjoys cooking, traveling, and running. 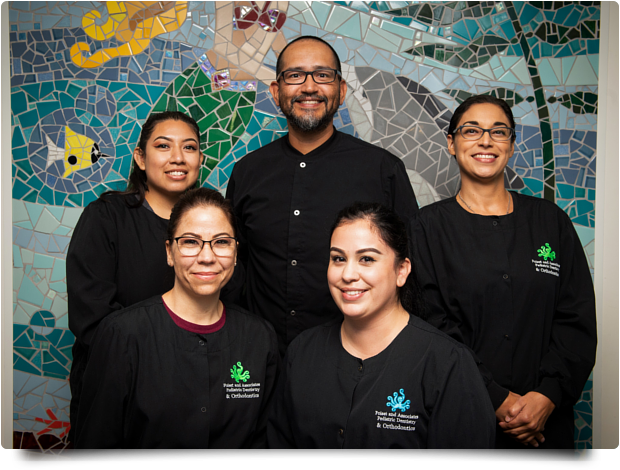 Nazmieh works with the pediatric families by presenting treatment and financial plans, scheduling appointments and verifying insurance benefits. She also schedules all our in office IV sedation appointments. Interacting with our patients and their parents is her favorite aspect of her job as is working with the rest of our awesome team. Naz is married and has a five-year-old daughter and is expecting another daughter in April. When she’s not at work, Naz enjoys spending time with her family and friends, her three dogs, traveling, and reading. 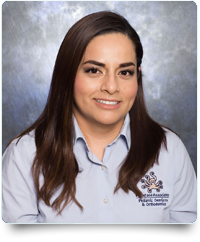 As the orthodontic treatment coordinator,Paola takes pride in educating and guiding patients throughout their orthodontic treatment. Right from the start she presents affordable financial arrangements that work for each individual family. 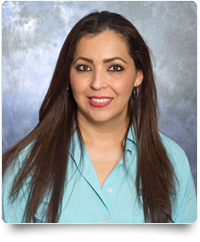 Paola also assists at the front orthodontic reception area by answering phone calls and scheduling appointments. When not at work, Paola enjoys going to the movies, shopping and taking long walks in the park with her husband, two children and their French bulldog. 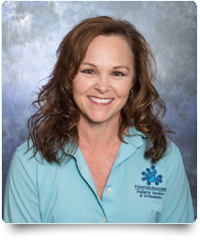 In addition to preparing treatment plans, scheduling appointments, and billing insurance, for both orthodontic and pediatric patients Kim is our go-to team member for IT and computer issues. She enjoys the fun interactions she has with the kids and is always available to answer parents’ financial questions. Kim enjoys spending time with her husband and two children, as well as with her extended family. She is active in leadership at her church and is a member of the worship team and drama ministry. Left to right. Top Row: Rita, Christi, Taylor, Ana.